Takashi "Thomas" Yuda (湯田 高志) is a game planner. He joined Sega in 1990 and was attached to the 6th R&D section as a designer, serving as main designer and other such roles for the Disney series titles on the Mega Drive. Afterwards, he worked as director for Space Channel 5 on the Dreamcast at United Game Artists and transferred to Sonic Team. He is known for being the character designer of Knuckles the Echidna. He later went on to direct the Puyo Puyo series and serve as producer for Sonic Riders. 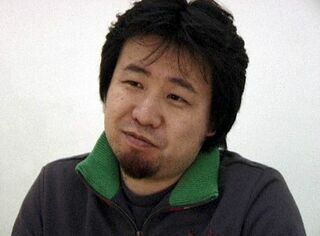 After leaving Sega in March 2005, he worked at several companies such as Artoon and Square Enix before founding the company Neilo in January 2013. He left Neilo in October 2018. Expression error: Unrecognized word "styl".Expression error: Unrecognized word "more".Expression error: Unrecognized word "styl".Expression error: Unrecognized word "more".Expression error: Unrecognized word "styl".Expression error: Unrecognized word "more".Expression error: Unrecognized word "styl".Expression error: Unrecognized word "more".Expression error: Unrecognized word "x".Expression error: Unrecognized word "x".Expression error: Unrecognized word "x".Expression error: Unrecognized word "x".Expression error: Unrecognized word "x". Expression error: Unrecognized word "x".Expression error: Unrecognized word "x".Expression error: Unrecognized word "x".Expression error: Unrecognized word "x".Expression error: Unrecognized word "x".Expression error: Unrecognized word "x".